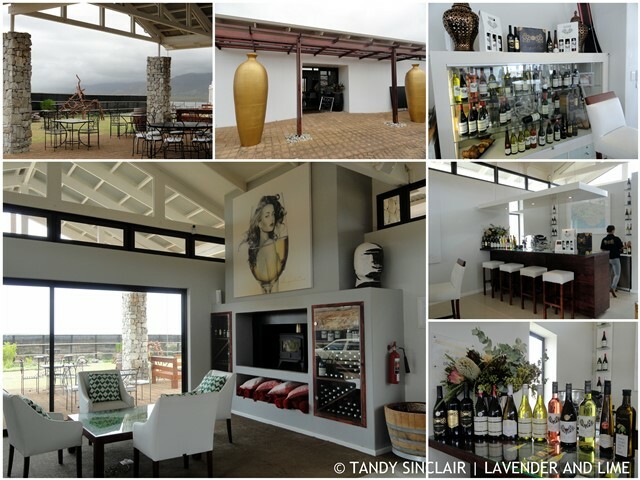 Benguela Cove is a wine estate, with lagoon frontage, and properties for sale. Since they launched the sale of land, I had a romantic notion of having a weekend home amongst the vineyards and fynbos. Dave and I went for lunch at the Manor House, which is 2 000 square meters! The estate itself encompasses 200 hectares, of which 70 are under vine, 10 are given over to olive trees and 3 are lavender fields. If you are looking for the perfect wedding venue, this is it. We started off in the wine tasting room, just to have a look and we will be heading back when time allows to enjoy the charcuterie platter on offer. We drove up to the manor house, which is majestic, and we were warmly greeted by Michael, the maître d’. He did everything possible to ensure that our visit was perfect. Our waitress was polite and well dressed and the service level was even better than what we experienced at Benguela on Main. Upon our arrival, we were shown to our table and immediately offered water. 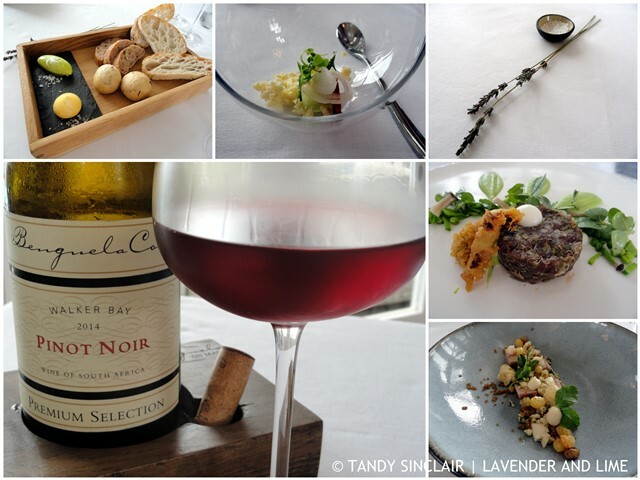 We were also told that the pop-up restaurant did not have a liquor license, and that all wines chosen by us, from the estate, would be complimentary. We had the option of ordering wine by the glass, but we chose to have a bottle of the 2014 pinot noir, which was cherry in colour. The nose was wonderful and the cherry followed through to the palate. The bread looked so good that I had to try one of each of the three on offer. I loved the herb butter and mixed this with the noble late harvest butter to enjoy on the walnut and sultana bread. This was followed by an amuse bouche where garlic was the first and most predominant taste, until the chorizo came and teased the mouth in getting ready for our meal. Dave had the home cured pork to start and I chose the venison tartare. This is the first time I have had venison tartare and I was well pleased with my choice. Dave does not eat raw onions so I only gave him a taste of the tempura anchovy, which was a huge hit of salt. For the mains I had the beef sirloin done medium rare and the fat had been perfectly rendered. 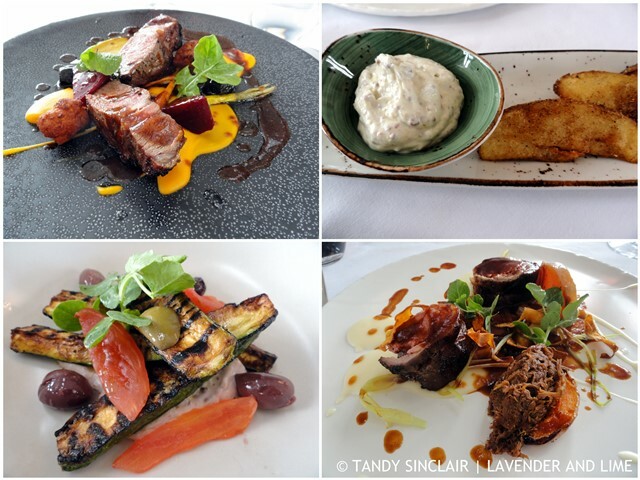 Dave had the Karoo lamb loin and he said that his main course was better than both of his main courses at Benguela on Main. This is high praise indeed for a restaurant that is not open every day. We had side dishes of Provençal baby marrows and spiced potato wedges. The pomme dauphine on my plate was so good and Michael offered to bring more to the table. I however thought dessert was a better option. We were served a pre dessert of three sorbets – plum, berry and an alcohol free pina colada sorbet. The toasted coconut was just perfect for me. I had the rooibos ice cream which was packed full of the bush tea flavour. Dave had the chocolate tart and I would suggest that these were the two most popular desserts served when we went, looking at what came out of the kitchen. We ended off with a single espresso each, which was at our table as fast as we have come to expect when in Europe. Our bill was presented with a baobab tree of Turkish delight, vanilla biscuits and fudge petit fours. The menu changes seasonally and to accommodate what can be freshly sourced. We were asked if we had any dietary requirements or allergies upon our arrival which I consider a small but noteworthy touch in any dining facility. You can choose two courses from R325 or three courses, including a side dish for R375. Had we paid for our meal, the bill including gratuity would have come in at under R1000. Disclosure: Dave and I were guests of Benguela Cove and our lunch was facilitated by Carla van der Merwe. 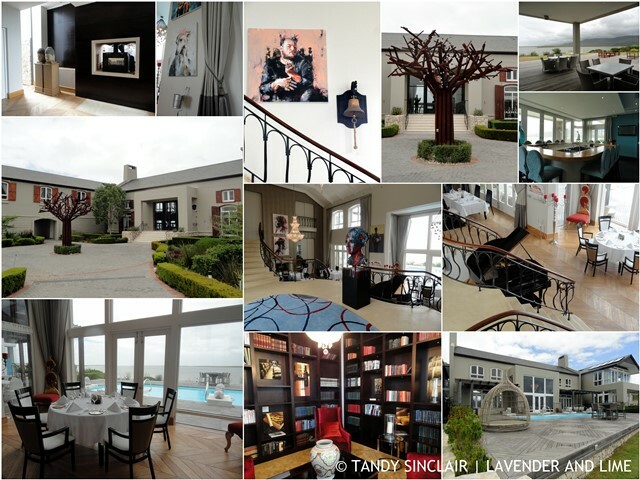 I am very grateful to Penny, the owner, for inviting us to another of their stunning venues. This post is in line with my blogging policy. Well that, was a fabulous looking estate! 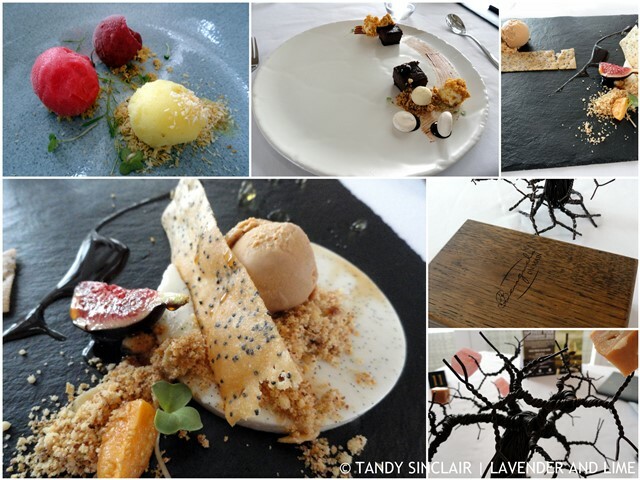 After I looked up what fynbos was, I enjoyed reading about your meal and the excellent service. Coincidentally, I recently visited a winery with lavender and olive groves as well. I can tell when we return to Africa that there are many beautiful places to visit. This one looks superb! Wow what a fantastic meals in a gorgeous location. Looks amazing, pop-ups can be so fun. It looks like an incredible meal with great views! So much delicious food and wines! Beautiful venue as well. WOW, this meal looks out of this world- and at an absolutely beautiful location! Would love to see those lavender fields! Sounds amazing. Trying to create my own ~ but that’s not the easiest task. Funny that Dave doesn’t eat raw onions, I almost only like my raw. Of course, probably not one else likes that!!!! I am jealous of all the wine estate reviews. I wish we had more places like that around us to visit. Or an excuse to get you to visit here? Oh wow – jealous?! Moi?!!! !